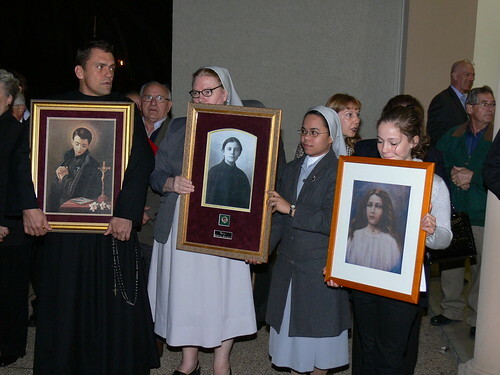 Young Saints Relics welcomed …. On Thursday evening 29th May the relics of our three Young Passionist Saints were welcomed in a Liturgical Reception at St. Brigid’s Church, Marrickville (Sydney, Australia). Fr. Joachim Rego, C.P., Provincial, led the liturgy. Fr. Tiernan Doherty, C.P., will accompany the relics while they visit numerous Churches, Monasteries and Parishes throughout Australia. 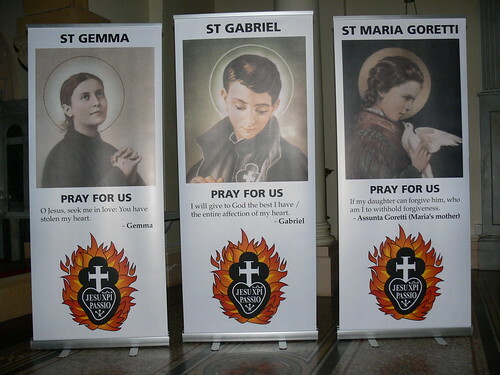 Tonight in prayer, reflection and song we welcomed the relics of the Young Passionist Saints to our Passionist Church of St. Brigid’s in Marrickville (Sydney, Australia) – St. Gemma Galgani, St. Gabriel of Our Lady of Sorrows and St. Maria Goretti. 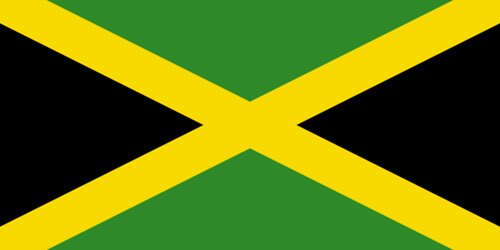 More to follow in the days ahead! Articles include: A Church with a Story | How Can We Pray Unceasingly | House Churches Today | St. Paul of the Cross and the Mystery of Suffering | Learn, Embrace, Love: The Legacy of Bishop Paul Michael Boyle, C.P. 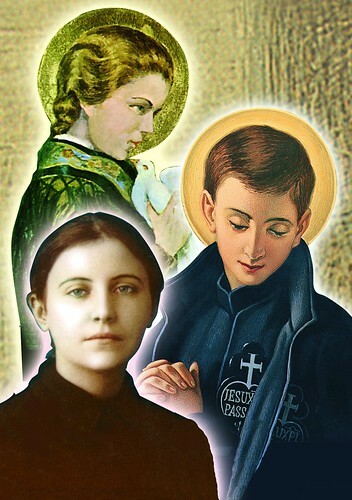 This is the image of the three Young Passionist Saints which will appear on literature during the pilgrimage of the relics prior to World Youth Day – St. Gemma Galgani, St. Gabriel of Our Lady of Sorrows and St. Maria Goretti.